Pictured: Spicers Hidden Vale’s homestead was destroyed in the blaze. 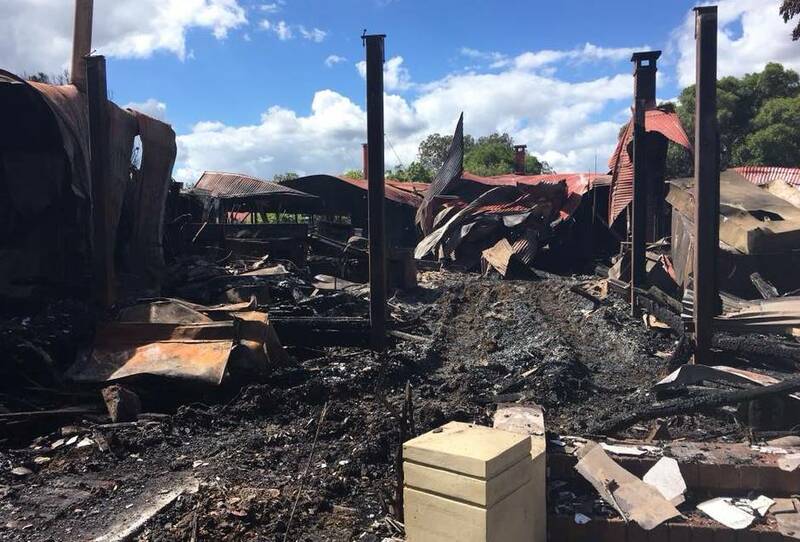 Guests and team members at Spicers Retreats Hidden Vale were evacuated over the weekend (07 April 2018), following a blaze which broke out in the historical homestead and on-property restaurant Homage. There were no injuries as a result of the incident, however the luxury Queensland property will temporarily cease daily operations for the next fortnight to rebuild the damaged amenities. Spicers Retreats Managing Director David Assef said: “The rebuild of damaged amenities will now be our priority, however while this is in progress, we are fortunate that we have a range of facilities onsite to cater for future guests, including weddings scheduled to occur in the coming fortnight”. “A huge thank you must go out to the community and to local and state emergency services for their efforts and support – we are extremely grateful for your efforts,” he said. It is understood that the fire first broke out in the kitchen of the early 1900s homestead. There were no injuries as a result of the blaze. Guests affected by the closure over the next fortnight will be offered alternative accommodation across the group or a full refund for the cost of the booking. Former guests of the popular retreat rushed to Facebook to offer their well wishes following the fire. Nicole Roehm said she was “heart broken” upon hearing the news. Those that are concerned about the status of an upcoming booking, can contact Spicers Retreats Group Sales Director Kylie Stever via email at kylie.stever@spicersretreats.com.